Jeremiah was telling God's people that 70 years after the devastation, God would deliver and restore them. Despite the fact that they had repeatedly abandoned God, he would not abandon them or his promises to them. He would be faithful. 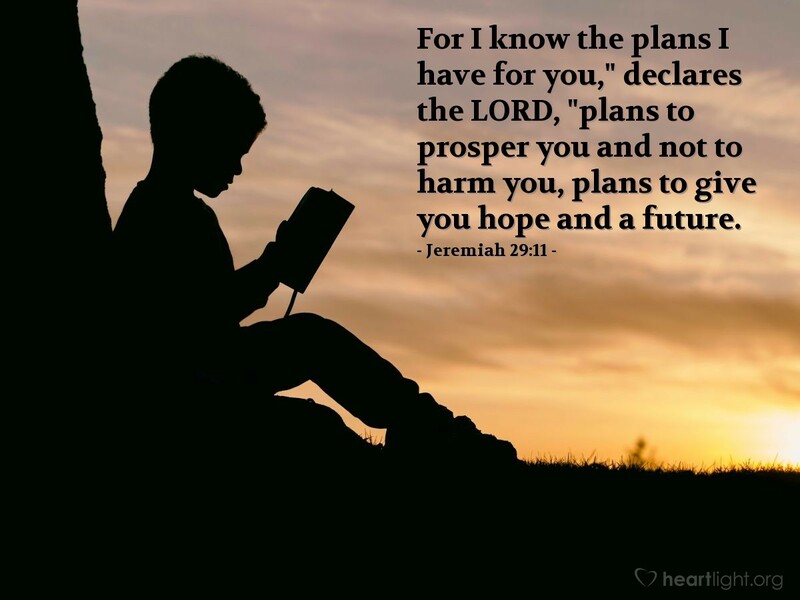 In fact, God was planning and preparing a bright future for them. This promise also reminds us that no matter how deep our own personal gloom may seem, God does have plans for us. He will keep his promises to us. He will deliver and bless us. We can have a vibrant hope and a bright future because of his faithfulness and our trust in his Son, Jesus, who delivers us from every foe. Give me faith, O Lord, during the times I'm weary, discouraged, and beaten down. Inspire me to trust in your great promises. Please give me courage, O Lord, when my faith wavers. Help me obey your word no matter how challenging it may seem or how discouraged I feel. Thank you for giving me a bright future in Jesus. Please help me live more consciously aware of this great gift. In Jesus' name I pray. Amen.